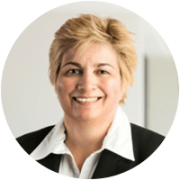 Michelle Rigg – There is nothing that Rentwest’s General Manager Michelle Rigg doesn’t know about property management. With close to three decades’ experience as a property manager, Michelle has viewed the industry from every angle: from the receptionist’s desk where she got her start to gaining her property management qualifications and co-chairing an industry committee. Michelle has taught others about property management and even helped rewrite the book (i.e. the Residential Tenancies Act).